The Derry Housing Action Committee (DHAC) organised another protest in the Guildhall’s council chamber. Immediately after the protest Eamon Melaugh phoned the Northern Ireland Civil Rights Association (NICRA) and invited them to organise a march in Derry. Gas supplies to Belfast and other outlying districts were affected by a drop in pressure and a warning was issued that consumers should switch off their supply at the mains. The British Army took charge of 21 petrol stations throughout Northern Ireland. These petrol stations were to supply petrol to essential users who could obtain a permit from the Ministry of Commerce. The Ulster Workers’ Council (UWC) retaliated following the take over of the petrol stations. The UWC announced that the British Army would have to undertake the supply of all essential services including basics such as bread and milk. There was a call issued for workers to stop their assistance in the provision of essential services. The UWC also stated that the Ballylumford power station, County Antrim, would close at midnight. In a gun attack in Roermond, Netherlands, the Irish Republican Army (IRA) shot and killed two Australian lawyers on holiday. Queen Meets President Mary Robinson, then President of the Republic of Ireland, travelled to London to attend a meeting with Queen Elizabeth at Buckingham Palace. Michael Ancram replaced Jeremy Hanley at the Northern Ireland Office (NIO) to become the Political Development Minister. In the aftermath of the Good Friday Agreement the issue of the ‘decommissioning’ of paramilitary weapons began to dominate the political agenda. 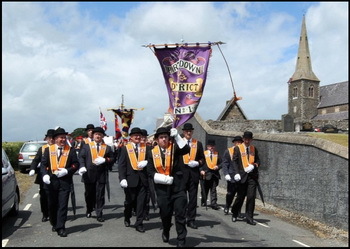 Leaders of the Presbyterian Church criticised the Orange Order in Portadown, County Armagh, for failing to commend the Christian faith during the Drumcree parade dispute. Legislation was passed at Westminster and the Oireachtas which guaranteed immunity from prosecution for anyone providing information on the location of the bodies of the ‘disappeared’. There was a meeting of the Ulster Unionist Council (UUC), the policy-making body of the Ulster Unionist Party (UUP). 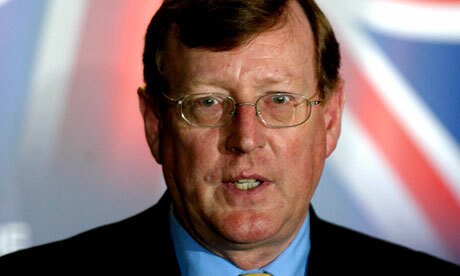 David Trimble, then leader of the UUP, won a motion at the meeting which allowed him to re-enter the power-sharing Executive with Sinn Féin (SF). The motion was on whether to accept the IRA offer on disarmament as a basis for the return to Stormont. Of the members present 459 voted in favour of a return to Stormont while 403 voted against. Stephen Manners (40), an ex-member of the Ulster Volunteer Force (UVF), was shot dead while in Jimmy Mac’s Bar, North Street, Newtownards, County Down. Shot while walking at the junction of Finaghy Road North and Andersonstown Road, Andersonstown, Belfast. Shot while driving along road at Scallen, near Irvinestown, County Fermanagh. Died nearly three months after being injured during gun and bomb attack on Bush Bar, Leeson Street, Lower Falls, Belfast. He was wounded on 4 March 1975. Shot at his home, Allworthy Avenue, off Antrim Road, Belfast. Australian national. Shot shortly after getting out of car, Town Square, Roermond, Netherlands. Assumed to be an off duty British Army (BA) member. Shot while in Jimmy Mac’s Bar, North Street, Newtownards, County Down.